A bridge named after world sprint champion Dafne Schippers has opened in her home city of Utrecht. 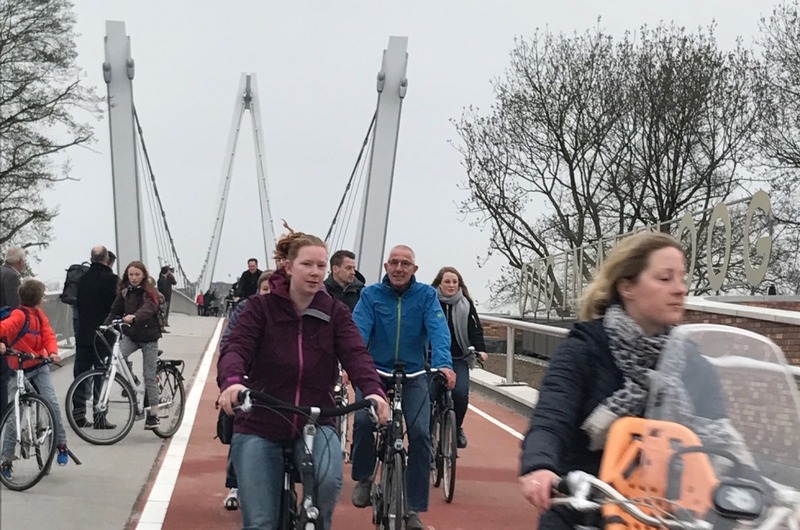 The Dafne Schippersbrug carries pedestrians and cyclists across the Amsterdam-Rijnkanaal, connecting the districts of Oog in Al and Leidsche Rijn. Schippers, who lives in Oog in Al and went to school in Leidsche Rijn, will be in the city for the ceremonial opening of the bridge on May 13. The 24-year-old athlete is the reigning world champion and European record holder at 200 metres, and won Olympic silver over the same distance in 2016.